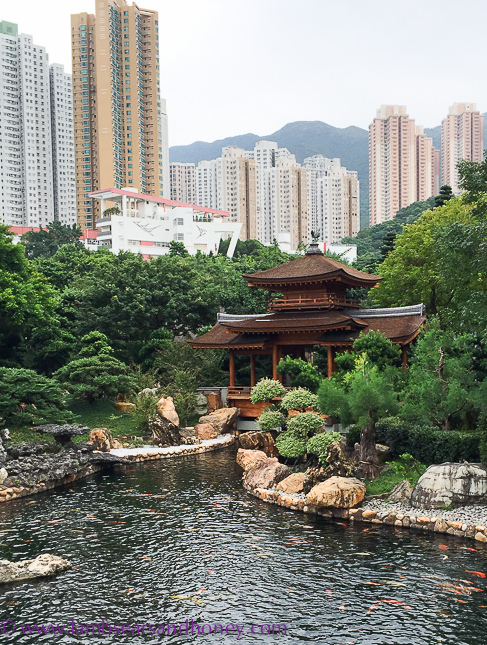 Hong Kong’s Nan Lian Garden ­­is a surprising 3.5ha of lush greenery, traditional Tang-style architecture and soul-restoring tranquility in busy Kowloon. Just when I think I may be getting tired of Hong Kong, I find yet another hidden gem in this utterly manic city. I have previously shared a couple of the peaceful secrets the region has to offer. 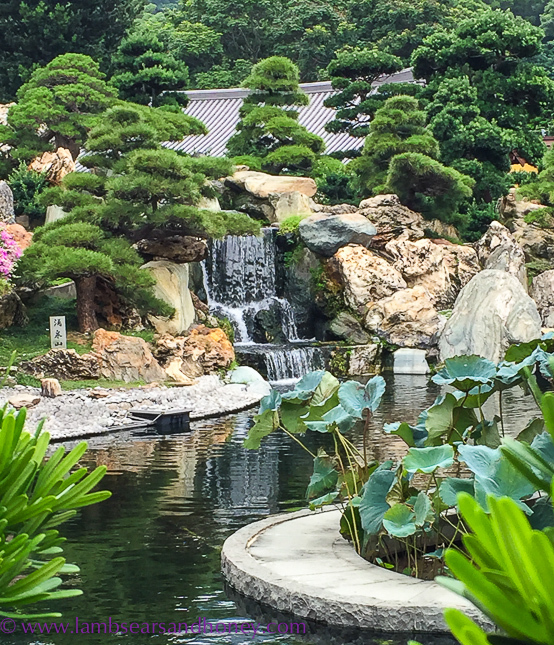 The island of Cheung Chau (a popular tourist destination) and the historic fishing village of Tai O are just a ferry ride away from Kowloon, but the surprisingly tranquil Nan Lian Garden is even closer – a 10-minute cab ride from Tsim Sha Tsui. This 3.5ha garden nestles at the foot of the grey high-rise developments surrounding it and is designed in the style of the Tang dynasty. 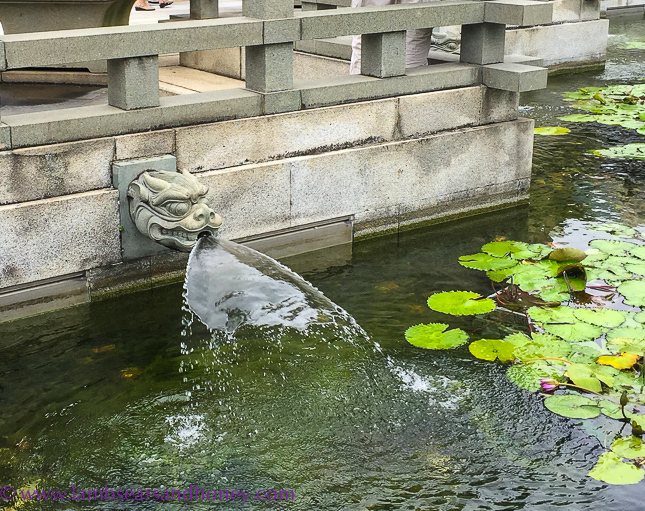 The gardens are fastidiously landscaped and every pond, waterfall, rock and tree is placed according to strict traditional garden design rules. 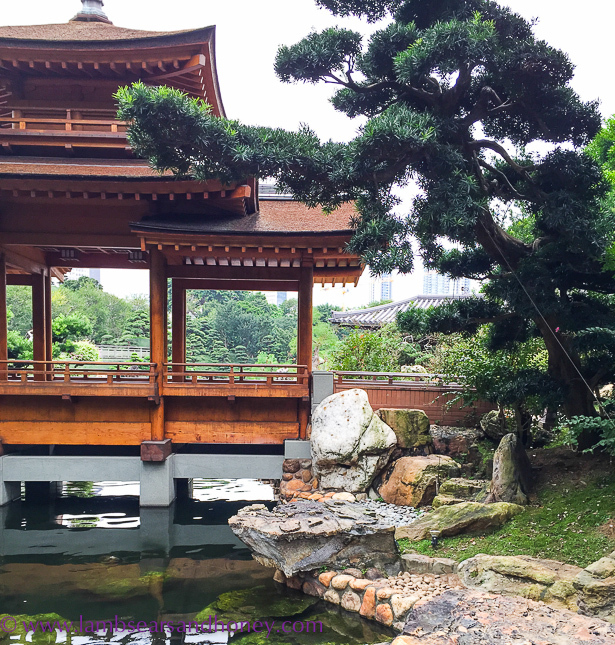 There are several beautifully elegant timber pavilions dotted around the gardens which contain permanent exhibitions of traditional Chinese architecture, rock gardens and potted trees. A vegetarian restaurant is hidden behind a waterfall and there is a traditional tea house in another pavilion. The garden is an extraordinary oasis in this mad town. Indeed, after 10 minutes here it’s possible to forget you are in one of the most densely populated cities in the world. 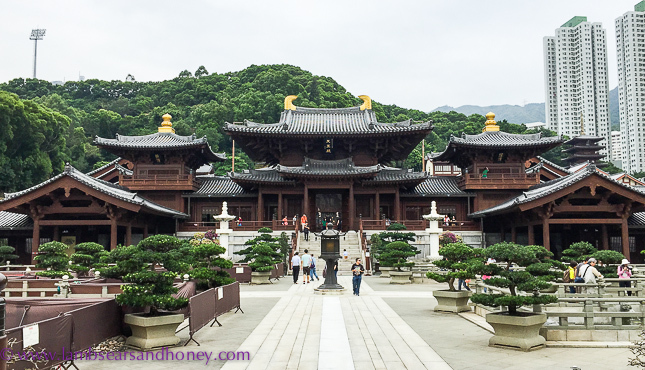 Adjacent to the garden is the historical Chi Lin Nunnery and temple complex. Another tribute to the Tang dynasty, the main wooden temple building has been constructed without nails and is surrounded by peaceful lotus ponds and a series of temple halls. 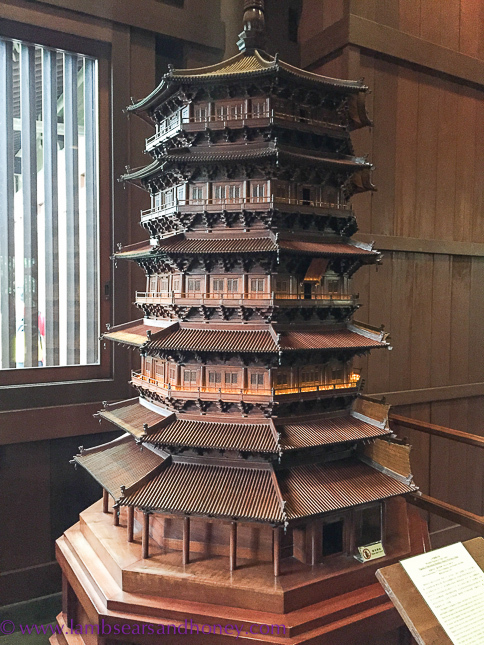 1:30 Scale replica of a Liao Dynasty pagoda. 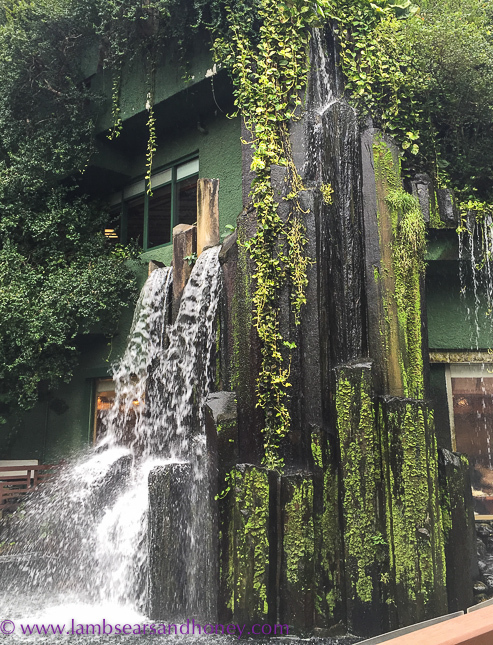 There’s a restaurant hidden behind this waterfall. Nan Lian Garden is at 60 Fung Tak Road, Diamond Hill, Hong Kong. Open 7am-7pm, admission free. South Australian writer Amanda McInerney writes about travel and food on her Lambs’ Ears & Honey blog.